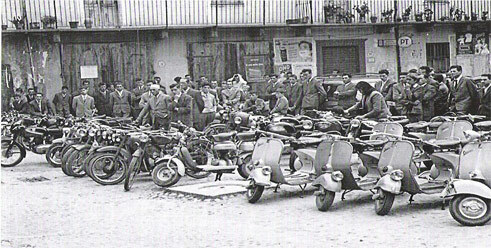 Piazza Vittorio Emanuele in Govone’s historic centre in the 1960s. 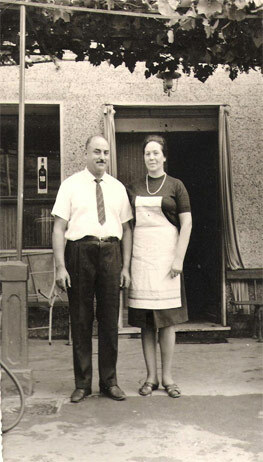 My grandparents, Guido and Mina, standing outside Il Centro, their restaurant and hotel. My grandmother Mina standing next to the petrol pump at the hotel entrance. during a rally in Piazza Vittorio Emanuele (1957). Guido and Raffaella, owners of Il Molino B&B in Govone’s historic centre. I was raised in my family’s hotel and restaurant, Il Centro, which opened its doors to Govone’s tourists in 1950. In those days, there were very few hotels between Alba and Asti and visitors to the area often stayed at my grandparents’ hotel because Govone was halfway between the two towns. 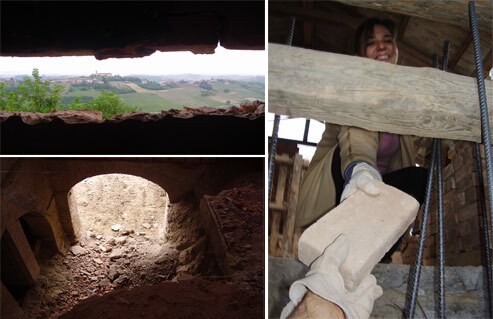 As you look through the gap, Alba is to the left, Asti to the right, and Turin straight ahead. Il Molino in Govone’s historic centre. Welcome to Il Molino B&B in Govone, Piedmont.